The Performa Men's Work Glove 252is premium gloves that are made with rugged full-grain pigskin, and are designed with open fingers and thumb for greater dexterity. Performa Men's Work Glove 252 provides an advantageous wing thumb for comfort and flexibility. The gloves are built to comfortably protect hands from the really tough jobs. 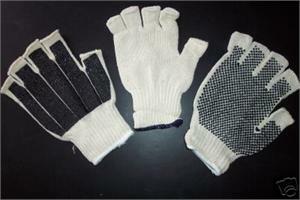 The glove provides a double-shirred wrist for better fit and comfort. These work gloves from North American Trading are crafted of high quality, full-grain elk skin for the best combination of durability and flexibility. It is ideal for work, hunting and chores around the house, durable full-grain pigskin construction, Gel-padded palm for impact protection.